Spot gold rose to its highest since June 14, 2018 at $1,306.43. Spot gold rose to its highest since June 14, 2018 at $1,306.43 and was up 0.2 percent at $1,306.11 per ounce by 0715 GMT. US gold futures were up 0.1 percent at $1,304.70 per ounce. "Investors are very cautious with many uncertainties on US-China trade talks and Brexit. Huawei is at the centre of dispute, creating very noisy background for the trade talks," said Margaret Yang, a market analyst at CMC Markets. "All these are making it more difficult for investors to judge the market's direction. Money is fleeing into assets such as gold, seeking safety." Investors fear the charges could complicate high-level trade talks set to begin on Wednesday where Chinese Vice Premier Liu He will meet with US Trade Representative Robert Lighthizer and others. Meanwhile, the US Federal Reserve's two-day policy meeting begins later in the day, where the central bank is expected to leave interest rates unchanged. The Fed raised interest rates four times last year, but some officials have said they will be patient in raising rates given the stalemate over global trade, the US federal government shutdown, and waning business and consumer confidence. The yellow metal has risen over 12 percent since touching a more than 1-1/2-year-low in August mostly due to volatile stock markets and a softer dollar on the back of expectations that the Fed will pause its multi-year rate-hike cycle. 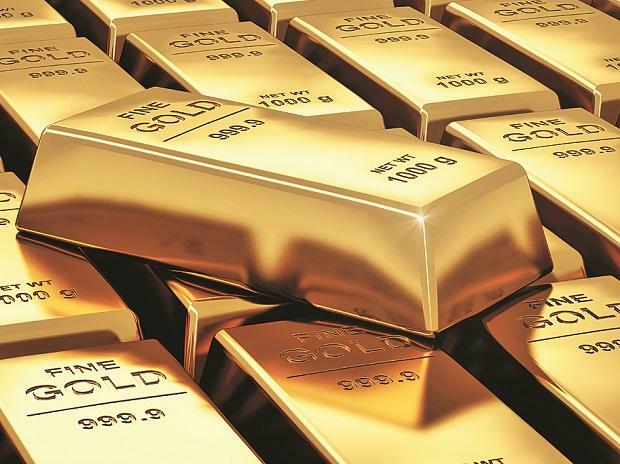 Reflecting investor sentiment in bullion, holdings of SPDR Gold Trust, the world's largest gold-backed exchange-traded fund (ETF), rose 0.73 percent to 815.64 tonnes on Monday, their highest since June 2018. "ETF interest remains supportive to the yellow metal, while a number of ongoing geopolitical concerns continue to facilitate top-side momentum," MKS PAMP Group said in a note. In other metals, palladium was steady at $1,331 per ounce. Prices hit a record high of $1,434.50 on Jan. 17. Silver rose 0.2 percent to $15.77 per ounce while platinum was up 0.4 percent to $812.51.